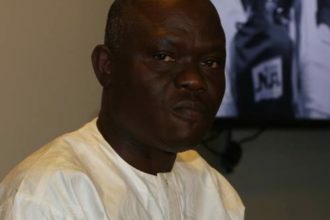 The former Chief Security Officer to the former President Goodluck Jonathan has been reportedly rushed to the hospital. Two weeks ago, rumors were rife that the former CSO was deceased. He later debunked these rumors at a press conference. Mr. Gorbon Obuah was in the custody of the DSS in connection with an investigation into oil bunkering. He was reportedly released on the same night. Punch Newspapers reports today that Gordon Obuah has been admitted to a private hospital over failing health with a history of hypertension and diabetes.